Sixteen-year-old Starr lives in two worlds: the poor neighboured she grew up in and the posh high school she attends where she’s one of two black kids there. The uneasy balance between the two is shattered when Starr is the only witness to the fatal shooting of Khalil, her unarmed best friend, by a police officer. Now if Starr speaks up it could destroy her community, and it could get her killed. Starr witnesses a terrible crime and you’re right there with her as she goes through the stages of grief. She’s so strong and brave but she doesn’t always feel that way. You feel her pain and anger but you also can understand her parents who just want to keep her safe – whether that means speaking out about what happened or keeping it a secret. I loved Starr and her family. Her parents are kind of #relationshipgoals and parenting goals really, they both may have made mistakes in the past but they love each other and their children and will do anything to make life better for them. The Hate U Give is brilliantly written – there’s so many lines I could quote that are either touching or profound or just funny. While there’s all this awfulness going on in Starr’s life, she’s still a teenager and the way her voice, and the voice of all the teens in the book are captured, makes it so real. There’s arguments with her boyfriend, the in-jokes she shares with her brothers, and there’s something not right between her and her friends and she doesn’t know why, but knows it started when one of them stopped following her on Tumblr – it’s stuff like that that helps make all these characters feel vibrant and real. 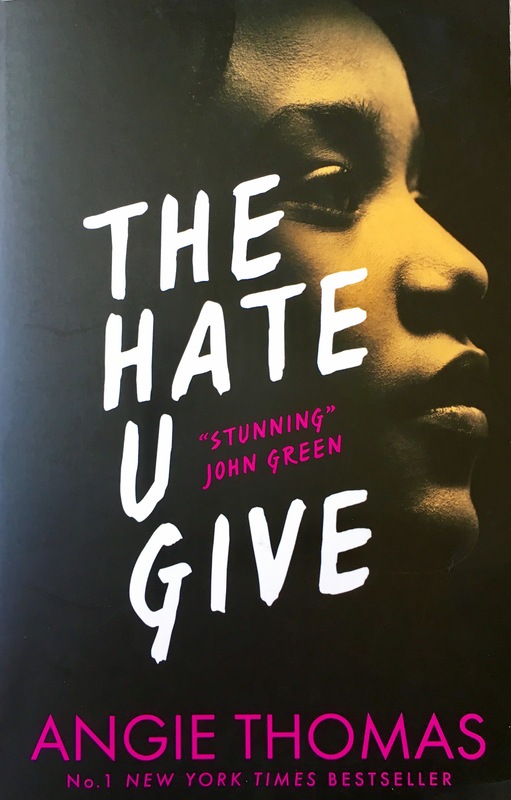 The Hate U Give is sometimes a tough read, it pulls on your heart and makes you just as angry and frustrated as Starr. It’s a roller-coaster of emotions as it’s so similar to real life events that have happened over the past few years that you just don’t know if everything will be alright. It still manages to give you a bit of hope though, that while some people won’t change, others will or will use their voice. The Hate U Give is a phenomenal book about friendship, loyalty, family and using your voice. It made me smile, it made me tear up and I can’t recommend it enough. 5/5.